Hanoi, Vietnam (Nobel Women’s Initiative)*— A global delegation of women peacemakers in Hanoi expressed disappointment in the outcome of the second summit between U.S. President Donald Trump and North Korean Chairman Kim Jong Un, but emphasized the importance of continuing to support efforts between the two countries to end seven decades of hostilities and work towards the signing of a peace agreement. “This is a huge missed opportunity and a disappointment to Koreans waiting 67 years to see a decisive end to the Korean War,” said Christine Ahn, executive director of Women Cross DMZ and a prominent Korea expert. “The past two summits have been important building blocks,” said Liz Bernstein, executive director of Nobel Women’s Initiative. “Transforming 70 years of enmity doesn’t happen overnight,” Ahn continued. Watch International Executive Director of Women Cross DMZ, Christine Ahn, on Democracy Now this morning to discuss the results of the summit. To ensure that ending the Korean War is broadly supported by the U.S. government, the women leaders are supporting a recently introduced Congressional resolution that calls for a final settlement of the Korean War and the establishment of a peace process. In lead-up to the Summit, prominent women leaders Alice Walker, Gloria Steinem and Jane Fonda joined five Nobel laureates and over 250 peace activists, experts and organizations to call for peace on the Korean peninsula and women’s inclusion in the process with this letter. Read this powerful opinion editorial in the Washington Post from feminist activist, Gloria Steinem, and Christine Ahn, about the urgent need and opportunity to finally end the Korean War. 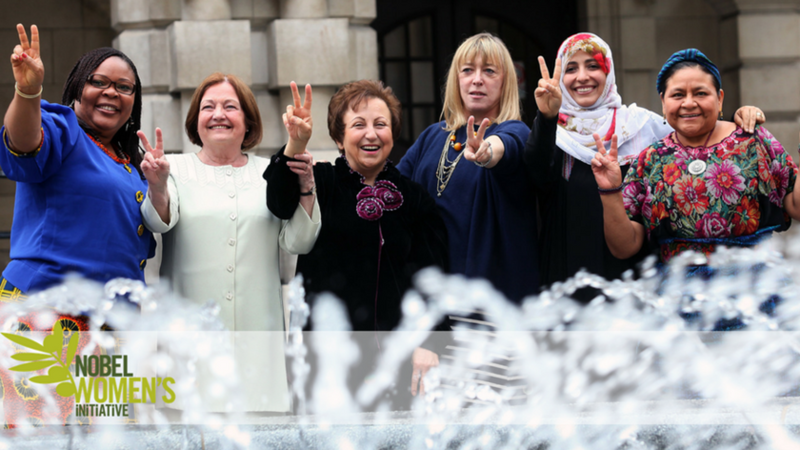 The Nobel Women’s Initiative is a proud member of Korea Peace Now! a coalition of women’s peace organizations mobilizing for an end to the Korean War. We were even featured in the South China Morning Post this week!